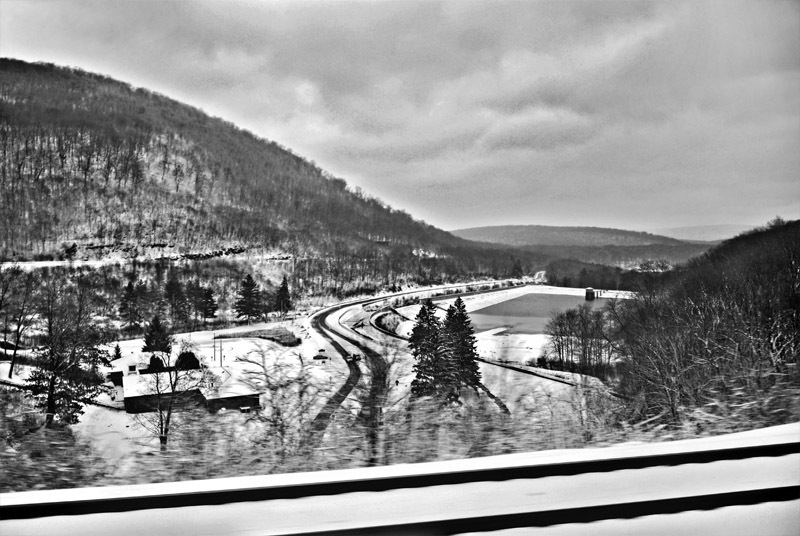 Horseshoe Curve is a famous railroad curve near Altoona, Pennsylvania. It was built by the Pennsylvania Railroad during 1854 in Kittanning Gap at the summit of the Allegheny Front. The curve was built in response to the difficulty of constructing a railroad through the summit of the Allegheny Mountains. It was such an important location that it was guarded by Union soldiers during the American Civil War and the Nazis attempted to sabotage it in Operation Pastorius during World War II. The curve was designated as a National Historic Landmark in 1966, and is now a part of the National Register of Historic Places. 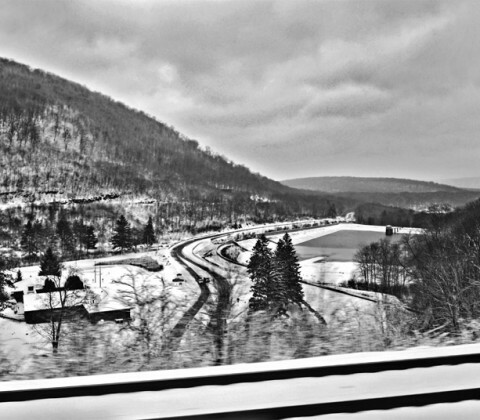 Amtrak’s Pennsylvanian service uses this route from Pittsburgh to New York City.